An important part of our work as stewards and compilers is to continually look to adding meaningful historical data, including failures never reported and failure studies that contribute to an understanding of future risk, past loss, and causes of loss. 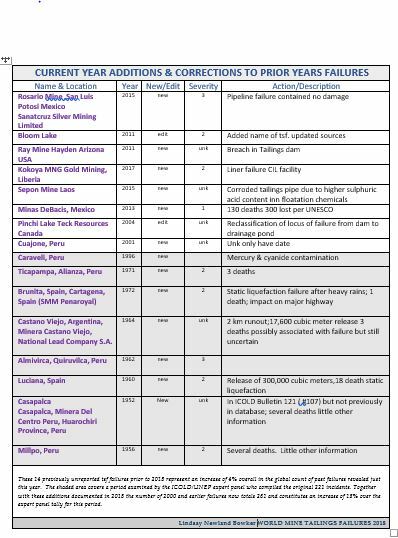 The table immediately below summarizes what WMTF added to the history of significant tailings failures in 2018. 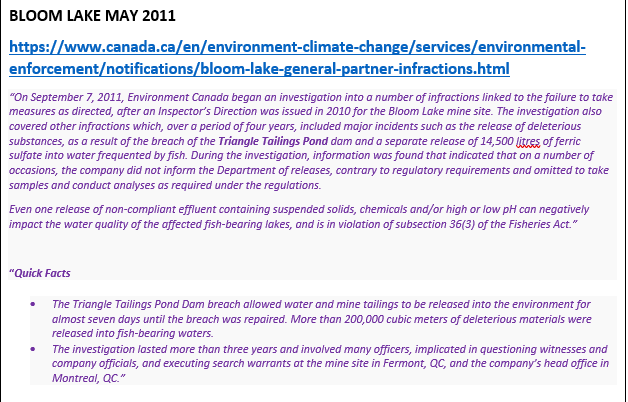 Notably, many of the never-reported serious failures below came from the work of Roberto Rodriguez Pacheco, WMTF Chief Compiler, Engineering, on static liquefaction in conditions that form recurringly in old inactive Tailings Storage Facilities (TSFs), as well as in those still producing. A more complete count helps to give clarity to long-term trend analysis, and to the severity categories, giving a stronger statistical voice to the compilation. Furthermore, the kind of work from which we learn of these previously unreported significant failures tells us a great deal more about cause and consequence than was known or reported at the time of failure. Roberto Rodriguez Pacheco, Bill Williams and David Chambers have been major contributors in 2018 to improving the historical record on TSF failures. 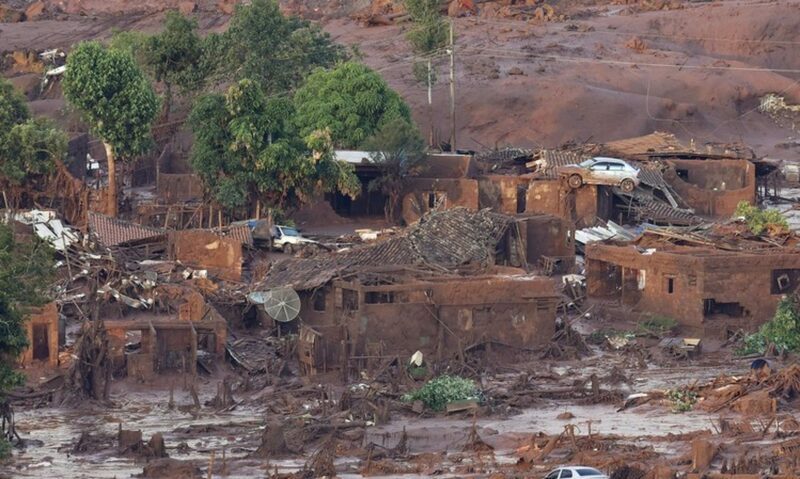 We welcome and need input from the entire world community of tailings management stakeholders to fill in the still-numerous gaps in the database base elements and in the narratives.